How to Fix Google Drive Server Down Problem - iMobie Inc. Trying to store or share files and discovered problems with Google Drive down? In our article we’ll be covering the reason behind Google Drive server down issues and the top methods for how you can fix them. Most Google Drive users have asked the question ‘Is Google Drive down right now?’ at least once during their experience with the Google-operated service. Problems with Google Drive down can stall work, leave you unable to access important files, and cause major problems with deadlines. If you’ve encountered the problem of Google Drive down first-hand, then our handy guide is here to make sure that you’re never stuck wondering what’s going on and what you should be doing to fix it. Experiencing issues with Google Drive server down can be the result of a number of common problems. Often, the reason that the server has gone down is due to problems with Google. You can check whether Google has any problems with their services, here, which allows you to answer the question ‘Is Google Drive down right now?’, straight away. There have also been problems in the past with Google Drive going down when new updates have been released, when Terms and Conditions have been broken, and when storage is full. 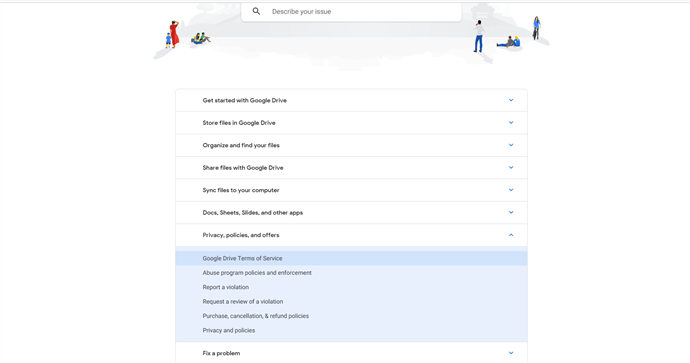 If the error that has caused Google Drive down issues is on the part of Google, then there is little that you can do to restore access to your Google Drive account until such a time when the problems have been solved. However, if the issues are on your side, then there are multiple methods that you can use that can help to restore your account. Sometimes Google Drive may appear to be down because of problems on your device or with the action that you’re trying to complete. Step 1: Check that your device has a strong internet connection. Step 2: If your connection is good, make sure that your browser version is up to date. 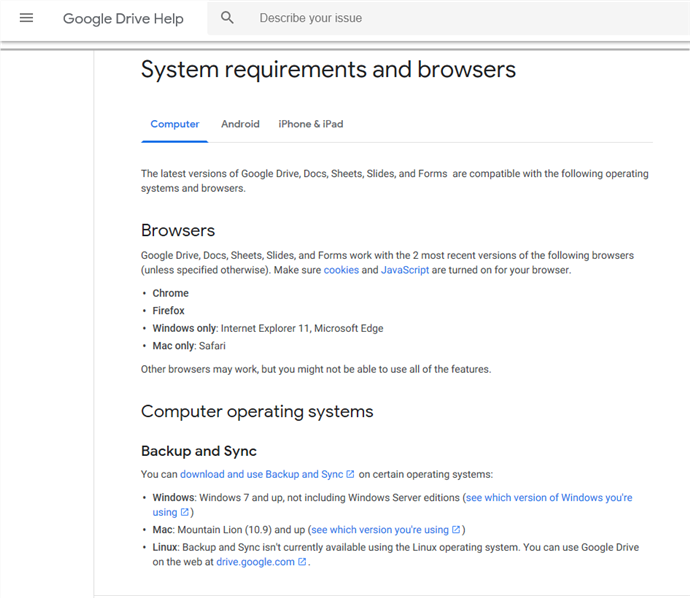 Below, are the system requirements that Google Drive requires, these can be located on the Google Drive Help page. Step 3: If you’re still having trouble accessing or uploading files, then check the size of the files. Google Drive has limits on all file styles, such as in the case of Google Docs, which can’t exceed 50MB. If you’ve used all your storage allocation, you’ll need to change your plan or reduce the number of files that you’re storing to allow Google Drive to continue working as it should. Step 1: On your ‘My Drive’ page on your Google Drive account, you’ll see your allocated storage amount in the bottom left of the screen – click on ‘Upgrade Storage’. Step 2: You’ll be taken to a page where there are multiple options to upgrade your storage. If your Google Drive is full, then you’ll be able to regain full use by selecting a higher option for storage. If you have broken the Terms of Service of Google Drive, then Google Drive may be down because you have lost access to your account. Step 1: Visit the Google Drive Help page and select ‘Privacy, policies, and offers’. A list will drop down, where you’ll find ‘Google Drive Terms of Service’. Step 2: If you have violated the terms of service, then you’ll be able to request a review of the violation from this page or the previous help centre page. Many cases of Google Drive down issues are related to a Google Drive server down problem, which must be addressed by Google. However, if you’re concerned that your problems with your Google Drive account are not widespread, then basic troubleshooting, storage checks, and account checks, could identify just why you’re experiencing Google Drive down problems.